February | 2011 | Yo, Yenta! Mucho mazel to Rahm Emanuel on his victory in Chicago! In spite of an attempt to render his run ineligible by some who questioned his ChiTown residency (to whom I’m sure he would have flipped his right middle finger, if he had one), the former Official Presidential Foulmouth soared into office with 55% of the vote against five opponents. “Rahmbo” is already kicking tuchus and taking names in ChiTown, starting with the chief of police and the CEO of public schools. I just love dis guy—can’t wait to visit my dear friend Kitty just so’s I can drop in on a City Council meeting. Speaking of City Council meetings and mayors, Savannah’s got a SITUATION that keeps on getting uglier and more embarrassing like a zit on prom night. The nasty blemish is boiling with the Council’s inability to come to compromise on the hiring of a new city manager, a process that’s hanging in the gallows after a botched search, racially-charged accusations from Mayor Otis Johnson and those who support the installment of acting city manager Rochelle Small-Toney in spite her inability to be approved for the required million dollar bond, questionably-legal closed door meetings and internal affairs investigations and a whole lotta bad press and bad feelings, including a Facebook page called “Step Down, Mr. Mayor” with over 1400 followers. The prom is St. Patrick’s Day, when legions of beer-swilling tourists descend upon the city for the second-largest Irish-themed party in the country. The green fountain in Forsyth Park and the seven-hour parade attract plenty of national press, and if someone doesn’t get some political Clearasil on this fast, the city’s adolescent attitudes will be on display for the world to gawk at. City Council meeting today at 2—I’ll keep ya posted. Much of the almost seven years’ worth (!) of this blog’s subject matter is about how I find the whole religious deal more than a little intimidating. I may be a heretic and unapologetic shrimp-eater, but I am always drawn to learning more about Judaism and those who practice it in its observant form. I am also curious about the administrative realities of two sets of dishes and getting the toothpaste on the brush in the dark on Friday nights. With her broad smile, stylish glasses and self-assured manner, Ms. Bulow bears more than a passing resemblance to a frum Sarah Palin, but her message, thank heavens, had nothing to do with tea or grizzlies. She leads the Jewish Experience program in Denver, Co, and mentors women all over the country in the laws of kashrut; she is also a “Jew-by-choice” who has taken Torah study to its highest scholarly levels. I was delighted to learn that the meaning of her lecture, “Fine-Tuning Your Receiver,” could apply to me, even if I was the only one in the room with bare knees. Quoting from the Talmud and reciting obscure (to me) prayers in Hebrew, Ms. Bulow constructed a case for “turning down the physical to hear the spiritual,” which she asserts is the true reason behind tzunis, or the modest dress required of women. I liked that she announced herself as a feminist right away and spoke against tzunis to keep women held back. She spoke of blasting through ego to reveal one’s true self, of bringing down the clamor of our needs and wants in order to hear the Divine will, of using Torah as a beacon that guides us towards that will. Make no mistake; I am a long, long way from kashering my kitchen or wearing a sheitel, but I can dig how following the laws of the Torah and the wisdom of the sages can bring us closer to God. I hope I’ll get another invitation to hear Ms. Bulow speak if she ever passes this way again—I promise I’ll cover my elbows this time. You can read more by Aliza Bulow at Aish.com. I would like to give a giant smooch to all the members of the Jew Man Group for giving my ivory-banging firstborn a version of Cee Lo Green’s ubiquitous song that won’t land us in a meeting with Children & Family Services. It used to be enough for humans just to grow up, spawn and leave behind a good-looking corpse. But we’ve evolved into a bunch of overachievers, haven’t we? Keeping a catalog of all the things we must do before we expel our last breath or our lives will have been for naught. It’s not such a bad thing to have goals—like, one of these days I’ma gonna get around to finishing a real, live book—but some of us don’t need any more pressure, m’kay? That’s why your Bucket List should always include a few things that overreach the boundaries of common sense (dressing up like a man and running with the bulls in Pamplona, Spain) and reality (performing an interpretive Afro-Judeo dance with Lady Gaga wearing my very own pair of prosthetic horns) as well some manageable things to achieve that feed the illusion that we’re actually in control of our own lives. As it turns out, this past weekend was a bang-up weekend for crossing some things on my Bucket List, two of the easy variety and one bordering on the notsomuch commonsensical. It’s called “Midnight in the Backyarden” and we’re very excited that it will be shown at this year’s “Gallery on 49th,” the annual art show hosted by the kidlets’ wonderful school, Charles Ellis Montessori Academy. That very same day, I also finished my very first knitting project that didn’t look like I kicked a Muppet in the face and stole its lunch money. It’s a simple twine washcloth I started last week while Little Yenta Girl was in the hospital, and there’s no photo because she’s already playing “hair” with it in the bathtub. And then, there was Sunday morning. Now, I must preface this by saying this next activity is extremely dangerous and should never, ever be attempted by anyone else and if you do decide to get dumb, you did NOT get the idea from me. OK, here goes. Ever since I set foot in Congregation Mickve Israel 14-ish years ago, before El Yenta Man and I were even engaged, when my mother-in-law still had her wits and was the lead docent at the Temple and proudly led me through the Gothic sanctuary, I have been obsessed with the idea of climbing to the top of the bell tower. As you can see, it is very, very far off the ground. The yearning to climb sacred bell towers actually started when I traveled around Europe with my friend Amy after college and saw Notre Dame in Paris—I thought it would be supertough to sneak in and explore Quasimodo’s tragic path. Amy possessed more sagacity than I and pointed out that tourists are actually allowed into the bell tower, and what’s the fun in that? Thankfully, she also talked me out of speeding over on the train to Pamplona with the pair of steel-toed boots I’d shlepped around in my backpack, bless her. Years later, standing in awe in the nave of my future husband’s childhood synagogue, a renewed zest to see the view from the highest point in a holy place overcame me. I peeked around the pipe organ balcony for an entry point while my future mother-in-law recounted the history of the stained glass windows but discovered nothing. I vowed that should it work out with this Savannah guy, I would one day find a way up to the tower that stood with its rounded keppe with the dozens of pointed church steeples in the Savannah sky. Almost a decade and a half has gone by—our wedding, our move to Savannah from California, three years of teaching Sunday School in the building—all the while, the thought of climbing the tower fluttered like a moth around my dimly-lit brain. I would clamber up to the organ loft any chance I got. During Friday night services, I would turn around to wish the pew behind me “Good Shabbos” and my eyes would wander up, wondering how, how to get in. Well, last year, I figured it out. I’m not going to reveal any specifics because I have too much respect for the synagogue administration and board and they’re probably already really mad at me. Let’s just say that what was hidden became clear. I’ve been biding my time, waiting for the combination of wearing the correct outfit for stealth (this is not an undertaking for high-heeled boots) and opportunity (i.e., not during Yom Kippur services.) And last Sunday, when I was wearing sneakers and yoga pants and supposed to be helping make challah dough, I seized the day. The first ladder was no big deal, except that it was kind of dark and I had to move a trapdoor with one hand. The next three were a different story. This was the second level of tower, light spilling in from the windows on the unfinished concrete. I was surprised that it wasn’t painted, though I guess it was never meant to be for the tourists like at Notre Dame. I looked up and saw a series of the rustiest, scariest wrought iron ladders that could have been excavated from Dostoevsky’s Russian prison. Now, I’m not one to succumb to peer pressure, even from the voices in my head, but this felt truly important. Not just to have something to check off my badass list but to prove that I love this temple and its history, and this was a way to have an intimate connection with its story, a visceral experience that combines body, soul and spirit. Of course, baking challah with the rest of the Sisterhood is a wonderful visceral experience, too, but maybe I do need a little bit of badass factor. It’s also true that’s there’s a new rabbi and a new chief administrator in the synagogue’s near future, and should someone do a security sweep, I might never get another opportunity. I put hand over hand on the rusty rungs. Someone had nailed a couple of 2’x4’s across one section, but I scaled them pretty easily. At the first landing, I made the mistake of looking down. I pictured my broken body on the wooden scaffolding and realized if I fell, no one knew where I was. My mangled corpse might not be found until some other moron had the same demented idea. But then I decided I was not going to die in ugly old yoga pants and kept on. The second landing was bolted to the concrete wall under the pointed windows just like the other ladders, but for some reason, it WOBBLED. My intestines in my throat, I shook it a few times. Would it pull out from the wall under my weight? Surely it had been built to withstand someone bigger than me, generous tush and all. Then I started wondering why ladders had been built in the bell tower at all—as far as I could tell, there was no bell. Above me, just one more orange-flaked ladder up, was another trapdoor. By now my arms were weak as egg noodles, my legs tensed from fear. I stood on the shaky landing for what seemed like a long time, talking to myself, talking to God, wondering what the right action would be. Did I climb all this way to fail? Was the attempt enough to be a part of the larger story of Savannah’s Jewish history? What the hell kind of mother and citizen does this anyway? What is wrong with me? Suddenly, I pushed my head up. With the strength of my shoulders and the hardness of my skull, I lifted the door up three inches, giving me a raccoon mask-sized view. I felt the breeze immediately on my cheeks. I could hear children laughing in Monterey Square six stories below. I saw the Talmadge Bridge and the church steeples and the rooftops and the trees and the blue, blue sky. If you had been a bird cruising the city’s highest points or flying by in one of the Army’s ubiquitous fighter jets, you might have caught a glimpse of the wide eyes a terrified but exhilarated almost-40 year-old woman who’d just pushed past her many demons to achieve a dream—a weird, inappropriate, probably illegal one, but a dream nonetheless. I whispered a prayer of thanks, and another for getting me back down safely, pretty please. I made it back down in under ten minutes. I was just starting to creep down to the sanctuary when I heard my son’s voice. His Sunday School teacher had chosen this exact moment to bring the class in and quiz them on Saturday prayers. I flopped down to my belly like a Mossad agent—how would I explain THIS? My face pressed against the intricately-carved wood, I examined the six-winged angels along the columns from a whole new perspective and kvelled quietly as I heard my dear boy get all his answers right. I sent up another deep-hearted prayer of thanks that my children will never have to do another thing to belong to this synagogue and be a part of its story: They already are. The fifth-graders finally marched out and I meandered back to the challah-braiding workshop. All in all, I had been gone less than a half an hour, and no one seemed to notice my absence. I jumped right in line with the other Jewish mothers and grandmothers and proceeded to make a total mess trying to braid six lines at once. To anyone offended, I apologize and promise to never, ever to climb the bell tower again, and not just because my 40 year-old legs are still so sore. But I think I’d best get myself another pair of steel-toed boots and head to Pamplona before I’m 50, si? Happy Belated Chinese New Year’s to y’all! I’ve always felt a particular affinity for this Far East celebration since this season eleven years ago, in the Year of the Dragon, Yenta Son #1 was born. Also, I’m kind of a pyro so any excuse for firecrackers is awesome. So far, notsomuch. Little Yenta Girl took a spill at the playground this weekend and broke her arm. It was hideous—bone almost sticking through, dislocated elbow, emergency room on Superbowl Sunday. She had to have surgery to reset it and came through just fine, thank God! I’m so grateful the worst part of the entire experience is the ginormous bill. But because life’s like this, we just signed on with a bare bones insurance policy for self-employed people, so after I sent up praise and gratitude to the Supreme Creator and the angelic minions who kept watch over my baby under anesthesia, I went into the hospital bathroom and had a stall-pounding fit about high deductibles. 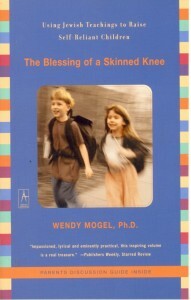 Of course, according to one of my favorite books, Blessing of A Skinned Knee: Using Jewish Teachings To Raise Self-Reliant Children, this could be considered a teaching moment for all of us. Mostly me, because to her credit, my baby girl shed maybe two tears in her pain, charmed the nurses and was the darling of the children’s ward the whole time we were there. Maybe the Year of the Rabbit will when I learn the lesson of turning tantrums into meditative nose-twitching? Bring on the carrots. Anyone else received this in their inbox with the subject line “Fwd: To the Egyptian Rioters”? 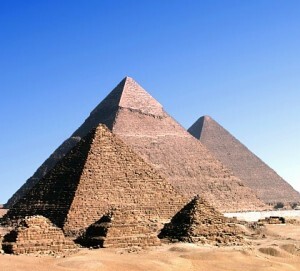 Dear Egyptians: In the event of any damage or destruction of the pyramids, please note, we will not rebuild. I know, it’s funny. Maybe not in a guffawing, new Wayne’s World-kind of way, but it made me snort. 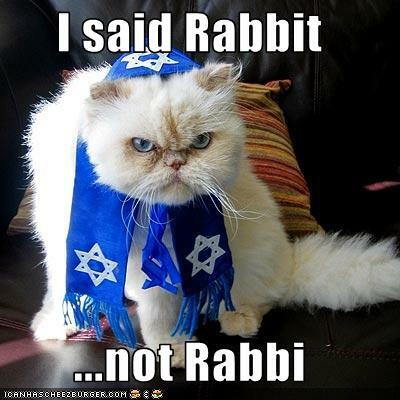 I appreciate that Jews have used humor for decades as a way to cope with difficult situations. We make jokes to ease the tensions in our lives, for it is better to laugh at ourselves than to weep. But, this is not a joke in that tradition. This belittles the importance of the Egyptian struggle – a matter of freedom, of liberty and of life. Pro-democracy demonstrators have been battling against government goons and, in the midst of all this, they put their safety on the line to protect artifacts of world history and heritage. The youth of Egypt linked arms to protect the National Museum from Mubarak’s security forces and thugs, who were ordered to create chaos and anarchy. The regime is trying to silence the people’s human right to peaceful protest and dissent. Pro-democracy activists have been attacked and silenced. They have been arrested and beaten up. They have been murdered. We as Jews should support the rights and dignity of peoples throughout the world. We should not stand behind a dictator who has held on to power for over thirty years. We should not prop up a regime that arrests, imprisons and tortures political dissidents and journalists. We should support the voice of the Egyptian populace, which has come together from all walks of life to demand free and fair elections, a new constitution and regime change to lift the people out of poverty and into a brighter future. Egypt has lit a match out of darkness, will you blow out their light? The writer, Andrea Guttin, is a Savannah-area lawyer and activist who brings a voice to those who can’t speak for themselves in our own country. 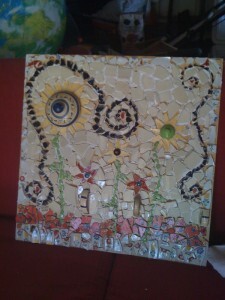 She shared a couple of links about folks on the ground: OppressedCairo.com and an ABCNews link about her boyfriend, who rushed halfway around the world from Austin, TX to check on his grandmother hunkered down in her Cairo apartment hiding from the chaos. What would be more ironic AND socially-responsible is if a Jewish/Israeli task force were at the ready to help Egypt rebuild what has been destroyed in these last few weeks. May I suggest a uniform of t-shirts from JewnionLabel? How you gonna fake the surprise of the lady who muses “We seen ’em in Miss-ippi lahk this…”? Shame the otherworldly visitors didn’t stay for a nice walking tour and a schwarma. Maybe they could do a lil’ touchdown on the Great Pyramid next and distract everyone enough to calm down? Attend your synagogue’s annual business meeting. El Yenta Man and I were by far the youngest people on Sunday afternoon at Temple Mickve Israel (which my mother-in-law never wrote or said without also adding “the third oldest congregation in the United States”) in a packed sanctuary of folks listening to the state of this particular union. There were a few exceptions, including our new Parnas (that’s what we call the President of the congregation; it’s one of the vestigial Sephardic traditions left by its founding members), but mostly I sort of felt like a spring filly amongst the older, wiser horses in the pasture. This was a welcome relief from the fancy dancy magazine party we attended the night before, where I was the only woman in heels less than four inches and had to keep fighting the urge to tuck in the brassiere straps of tipsy 20-somethings. This year’s meeting couldn’t top the shocking drama of last year when a strange surprise vote deposed the rabbi of 20+ years, but there have certainly been a ton of shake-ups lately at this small Southern synagogue: The outgoing Parnas said that these weren’t the worst two years of his life, but they came pretty darn close. The community has been painfully split over the rabbi’s firing, causing rifts in decades-long friendships. The main administrator announced her resignation last week. And there’s the formidable task of searching for a new rabbi that will meet the needs of a congregation that has twice as many opinions as it does paying members. It’s not as sparky and earth-shattering as what’s going on in, say, Egypt, but it’s rocking this community pretty hard. Looking out in to the sea of gray (and sorry, balding) heads in front me among the pews, I felt humbled and grateful. These are people who have given significant portions of their incomes and spare time to this congregation throughout their lifetimes—some of them go back several generations. My in-laws and their wonderful friends are included in this group, as well as Mr. David Byck, who was honored in Savannah’s Business Hall of Fame (watch the video to find out what a “person of quality” really is.) I may not agree with many of them on their politics or what makes an exciting Saturday service, but Mickve Israel has survived 275 years as a place where Jews of all flavors are welcome because they—and those who came before—took the effort to make it so. And also, as one congregant pointed out in a moving speech, it is important to come together and honor Rabbi Belzer’s contribution to that legacy. It’s not a secret that I do not love going to synagogue. Any synagogue. Many of my generation feel the same. If it were only more…spiritual, we say. If it were more meaningful, more relevant, more child-friendly. But at the same time, we still want a traditional Jewish place. We want what we grew up with, the V’havta and the Sh’ma, the songs and Purim megillah reading and a place to cry happy tears when our children read from the Torah at their b’nai mitzvot. As American Jews or Jewish Americans or whatever we want to call ourselves, we need a place to pray, study and learn from our elders about how this elastic, hard-to-pin-down thing called our religion/heritage/culture works. What I’ve found is that no matter how staid or dusty any synagogue leadership might be, everyone knows that it’s time to bring in some fresh air and new ideas, even the wacky ones. My Facebook profile lists “Hippie Jew” as my religion, yet at the reception after the meeting, I was approached to be on the public worship committee by the patriarch of one Savannah’s oldest Jewish families. I was thinking I’d like to start with tambourines for everyone.